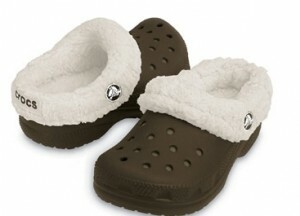 Another awesome Crocs sale. The Adult Mammoths are on sale for $19.99 (org $29.99) and the Kids Mammoths are $14.99 (org $24.99). Plus you can take off another 10% with coupon code: CROCSAFF10 and you get Free Shipping. I told you it was another awesome sale. Better hurry as styles are selling out fast.